There is a first ever documentary film effort being tenaciously pursued by William M. Windsor. The feature length film will be titled Lawless America. Bill Windsor and his production crew came to San Diego, CA in the first week of October 2012, and members of CCFC spoke on camera about Judicial and Government corruption in San Diego County. Bill Windsor has been traveling the Nation going to every State and Capitol, among many other cities, documenting on video hundreds of American citizens and their stories of Judicial and Government corruption. Bill Windsor had an initial goal of several hundred interviews but through his adventures the number has quickly expanded into a couple thousand and climbing. The filming of Lawless America to many is becoming a movement, a voice, and a long overdue message to government and judicial professionals and law makers that enough is enough. The stories are amazing, shocking, and necessary to get the word out to other people in our great country about what corruption actually exists. Bill Windsor and many of his believers say a new American Revolution has begun—Bill Windsor is a leader calling on tens of millions of Americans to join the Revolutionary Party. 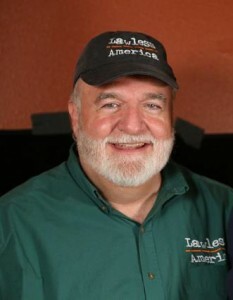 Be sure and check out Lawless America’s website and on Youtube-Lawless America to see the stories and learn more about what an amazing man Bill Windsor is, and what an amazing and necessary thing he is doing. You can also find Lawless America on Facebook and on Twitter.